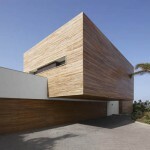 ‘Pure white’ is a house designed by Susanna Cots. Taking name from the main color in its color scheme the ‘Pure White’ is an amazing modern abode with glass enclosure of two big palm trees. The white color wasn’t a random choice for the house’s interior though. As the color of light as well as a combination of all colors white makes for the ultimate light-reflecting, space-enhancing, opening color scheme. 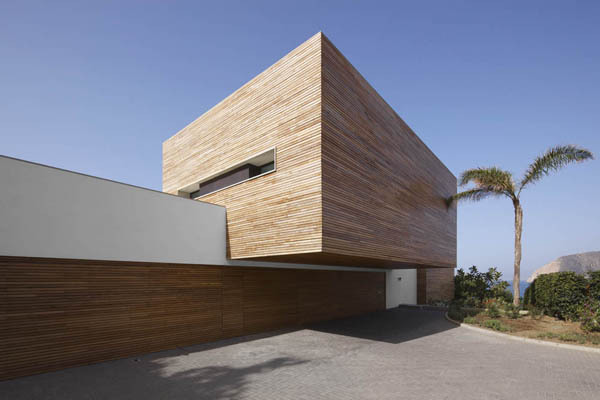 A house is built on the top of a cliff overlooking the sea so the glass parts were a natural choice for letting natural light and water views in. Divided into five areas the house is furnished in white and with pops of wood and bright colors such as pink and purple in the kid’s area that cinsists includes of the kid’s rooms and a playroom. The dining and living area overlooks the sea with the outdoor terrace just out the door. THe kitchen also connects with the sea as it opens up to the views. The outdoor dining set allows enjoying the meal as well as the views of the greenery below, sea and mountains ahead. The master suite is located in the top cube of the house. The white room with pops of black in the feature wall and carpeting is furnished with a double bed and a modern clean-lined sofa. There is also a guest area located on the ground floor near the swimming pool. The sitting area with white furniture set, wooden floors and a glazed inner courtyard with two palm trees is simply enchanting. The wall parallel to the long glass one also features a strip of glass to make the palm trees be seen from other rooms as well. Other stand out features of the ‘Pure White’ house is a giant home theater screen and a loft library. The glass wall in the kid’s room that overlooks the sea is simply breathtaking.